Seriously while I dislike the constant boobage and cleavage-fest, you got to hand out the amaze cards because when she’s serious about her cosplay, she owns it. I’m looking at the hammer (seriously I am) and I’m just floored by the workmanship as well as attention-to-detail she and her team put into this. 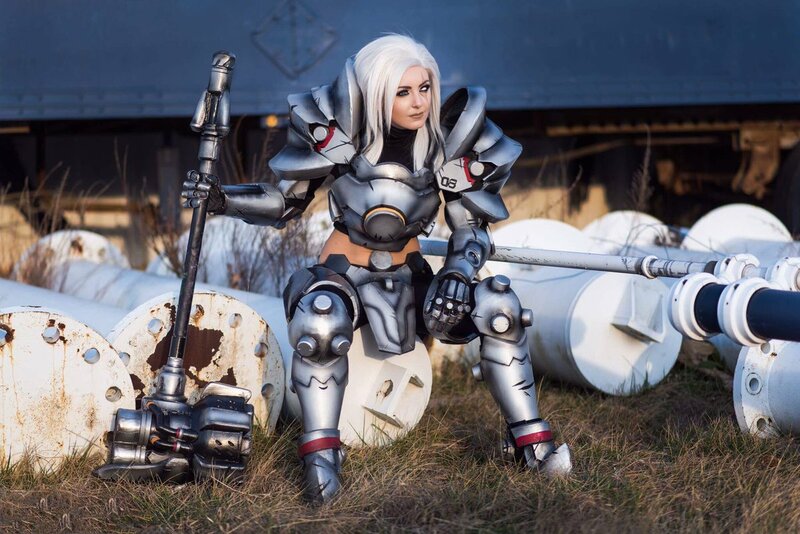 So this Jessica Nigri as Reinhardt cosplay deserves two thumbs up!